Students, staff, & faculty members receive a 35% discount on 1-to-1 online Microsoft Office software training sessions. Don’t have time to attend a full day class to master that software application? 1-to-1 personalized software training is an innovative and time saving way to get your training needs met. 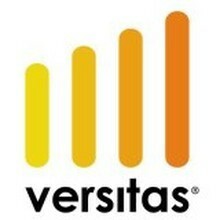 A Versitas instructor will share a desktop live via the internet, answering your questions and showing you the most useful features and time saving tips for the applications you use such as Microsoft Word, Excel, Access and more. Faculty, staff and students with a fau.edu email address will automatically receive the discount upon registration.